There are people who I pass on the street who I know for a fact cannot grow a decent beard if their mother's life depended on it. When I see a man with smooth cheeks, a five-o'clock shadow at 9am, and a steely jaw...I will not hestitate to tell him he is doing himself a beardly disservice. 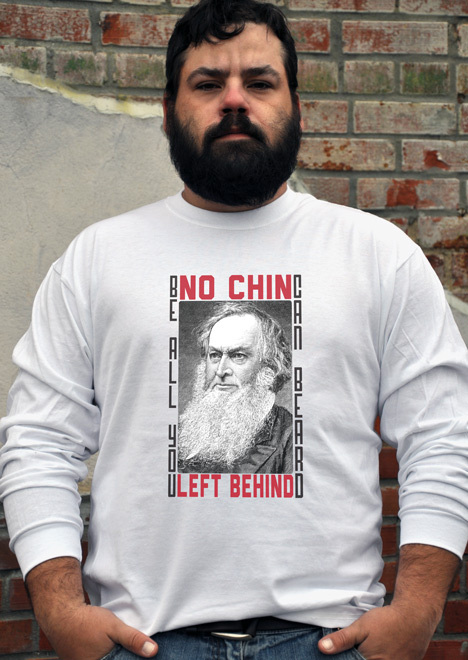 No chin left behind, my friends. Not one.